It's the end of the month, which brings me to my Nail Challenge Collaborative manis, of which there are supposed to be four. I..er...um...have one to show you tonight. July has been the busiest month for me and I simply ran out of time to create more for this challenge. The theme for the month was flowers! I have so so many idea, but this one popped into my head right away when I received my Fall 2013 Zoya Pixie Dust! Zoya Pixie Dust retails for $9.00 ea. (US). 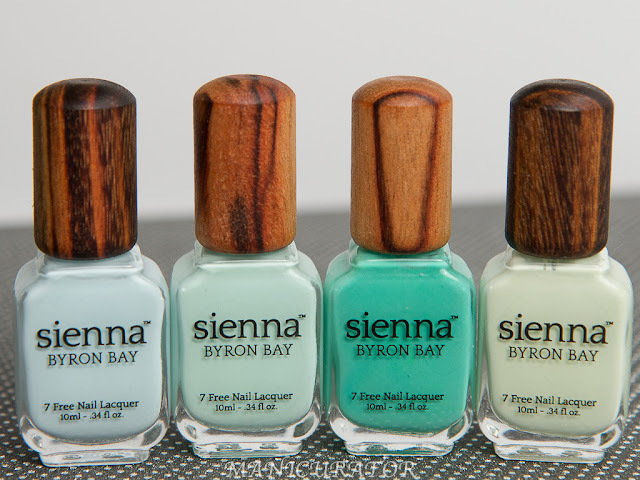 These are available at Zoya.com, select stores and spas and in ULTA beauty stores. I have on OPI My Boyfriend Scales Walls as my base and then I simply freehanded the petals on with Zoya Sunshine (blue), Zoya Arabella (pink) and Zoya Tomoko (champagne silver). 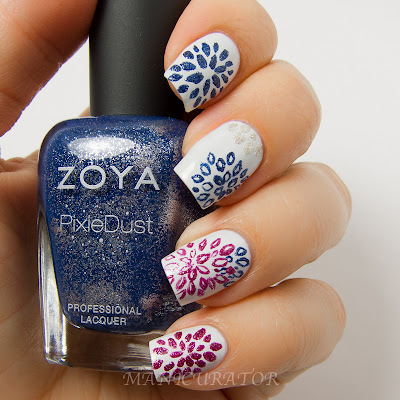 I'm sure this looked better in my head, I need some practice getting what I see in my head onto the nail, but I think these came out cool...just not the perfect I was planning on :P I adore Zoya Pixies and these are no exception. 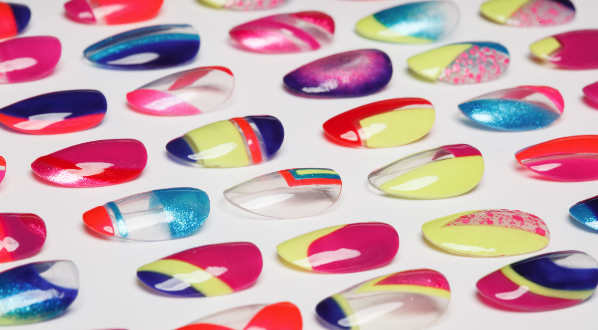 Look for more nail art with the 6 from this collection soon. I can't get enough. Are you a Pixie head like me? Oh my word, this is beautiful! Seriously! And I need to get Zoya Sunshine. It's gorgeous! That is sooo awesome, love it! You are crazy! I LOVE this! You free handed those petals?? Thank you so much! Yes, you do, it really is gorgeous. I'm totally into navy right now! Thank you! I'm a huge fan of these textures! Hi Delphi, thanks! I used a very thin nail art brush. You are most welcome.. !! This looks amazing! 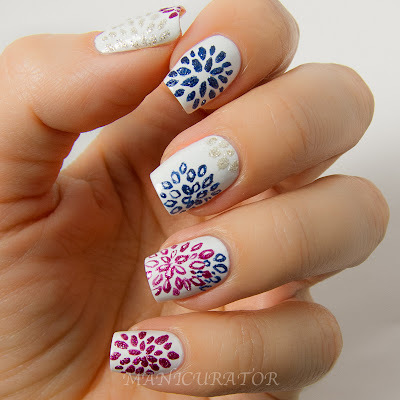 I love bright colours on white backgrounds, so pretty! Girl could this BE any prettier?